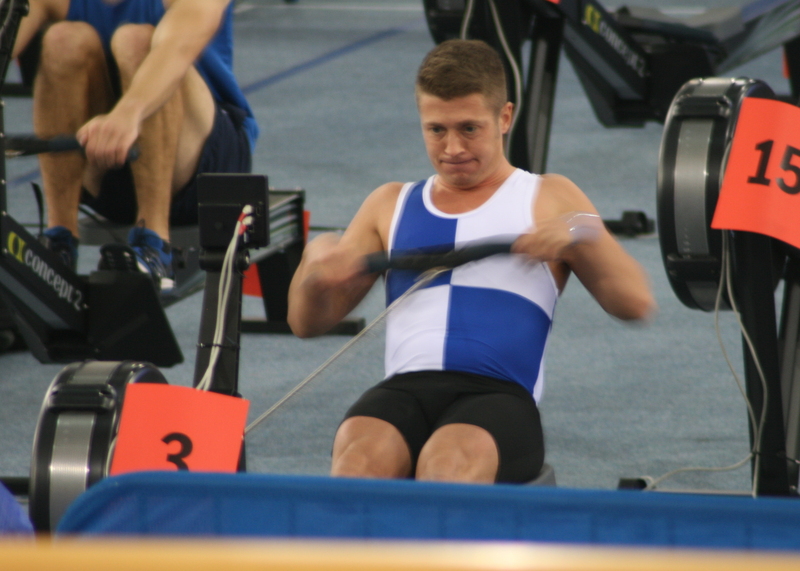 Dover Rowing Club’s Chris Price flew the flag for Coastal Rowing in the European Indoor Rowing Championship at the Audi Arena Gyor, Hungary on Saturday. Following his sixth place in the British Indoor Championships in December, Price entered the Light Weight Masters Men 30+ category at Gyor. Dover’s diminutive rower overcome the long journey to perform well, producing consistent splits in the 2000 metre event to finish in 7 minutes and 8.30 seconds, a second slower than his British Championships performance. Price’s time saw him finish in an impressive 5th place in the international field. I am planning to cycle next year from Vietnam to Cambodia (Dec 2016), in memory of Reg Kent, to raise funds for his families chosen charity The British Heart Foundation. Those of you who knew Reg, will remember him as a key member of Dover Rowing Club through 70/80/90/00’s and he will be greatly missed by all his fellow club mates and friends after he was tragically taken from us far to early, a few weeks ago. I have know Reg for 30 odd years through rowing, and he has been a big part of my life through rowing/sport and I felt I wanted to do something to remember him and raise funds for his chosen charity. Any amount will be appreciate and all funds raised go to The British Heart Foundation. The route is from Ho Chi Minh to Siem Reap and will take me 12 days.